"The wings of these cherubim spanned twenty cubits overall. They stood on their feet, and they faced inward. And he made the veil of blue, purple, crimson, and fine linen, and wove cherubim into it." The temple of God was an amazing sight to behold. Filled with fine gold and ornate designs, it was a place where men could come stand in the presence of God. Then again, you would have to be part of the priesthood to enter the Holy of Holies and truly be in God's presence. For most everyone in Israel, they were only allowed partial access to God through His priests - but 2000 years ago everything changed. The very veil that had been commanded by God for His temple was now being torn by God. It was His signal to us that He had made a way for us to approach Him without a priest. Friend, this is an amazing truth. The God of all creation has made a way for you and me to fellowship with Him. 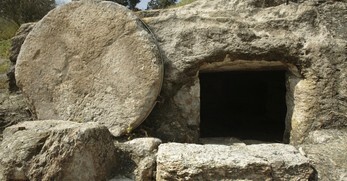 Because of Jesus' death and resurrection, we now have access to the Father through prayer. So, have you spent time with Him today? Take to Him your sins, doubts, fears and troubles and know that He hears you and cares for you. My friend, the veil is gone! Let us approach the throne of grace with confidence. 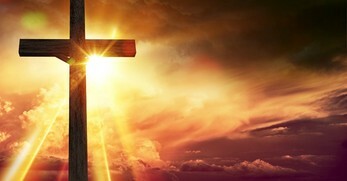 Life Lesson: We have access to God only through the cross. 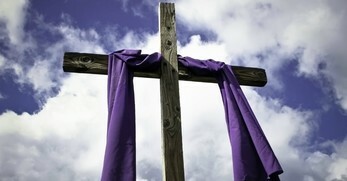 Thank You for what You did on the cross. Lord, because of Jesus, I now have forgiveness of sins and access to You without need of pastor or priest. Help me to not take that for granted but to come to You in prayer on a daily basis so that I will be ready to do Your will. Use me Father to share this amazing truth with all those around me. In Jesus' name, Amen. Originally published July 01, 2012.